This episode: Giant viruses produce DNA-packing proteins that seem to have branched off from eukaryotes far back in evolutionary history! Erives AJ. 2017. Phylogenetic analysis of the core histone doublet and DNA topo II genes of Marseilleviridae: evidence of proto-eukaryotic provenance. Epigenetics & Chromatin 10:55. Where did they come from? And why does virus need them? 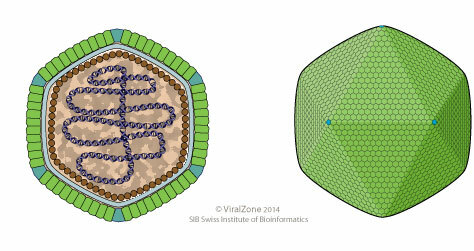 What’s new: Now, Albert Erives, publishing in Epigenetics & Chromatin, has discovered that these giant virus histone genes, and other genes, seem to have branched off very early in the history of all eukaryotes! Or maybe life on Earth came from Mars? Or both came from a third source! Benefit to virus to use them?